Home / Gemstones Enciclopedy / Natural Pearl or Cultured Pearl? Freshwater or Saltwater? Natural Pearl or Cultured Pearl? Freshwater Pearl or Saltwater Pearl? Versatility and timeless charm are the two most important features of Pearl. The Pearl market is centuries – old; people have always desired to have natural pearls, as a symbol of social well-being for thousands of years. There are Chinese texts dating 2200 BC, texts written by Homer, Suetonius, Marco Polo and many other authors who described its historical importance. Pearl is the product of a living organism, so it is an organic Gem. Natural pearl is produced by pearl-bearing mollusk without any human intervention. A mollusk is a sea animal that has a soft body but doesn’t have a spine. Many of those pearl-bearing mollusks are bivalves, i.e. they have a shell composed of two hinged parts. Cultured Pearl is always formed in the mollusc, but with the help of a human who inserts a nucleus into it. Pearl is a gemstone for June and for the Thirtieth Wedding Anniversary. Early Chinese civilizations believed that the black pearls were formed in the head of a dragon and kept hidden between his teeth, and that the only way to gather the Pearl was to kill the dragon. 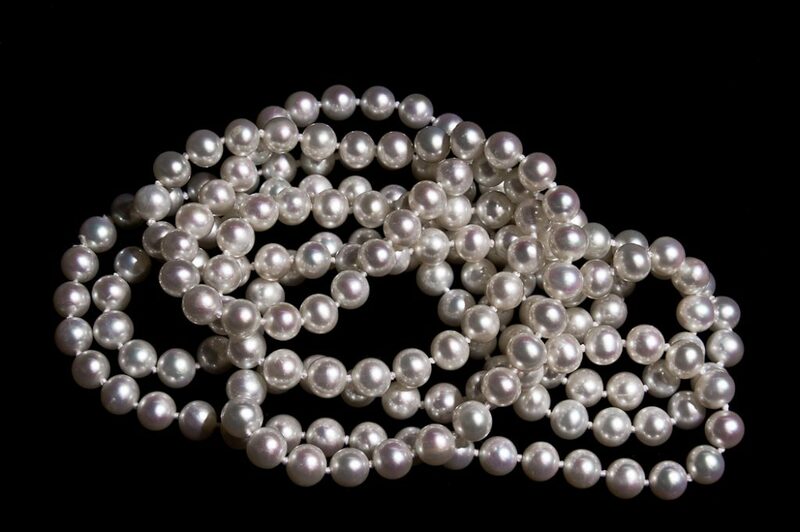 The ancient Japanese believed that the Pearls were created from the tears of Sirens or Angels. According to a Persian legend, the Pearls were created by a rainbow when it came down from the sky and met the earth after a long-lasting, tormenting storm. Furthermore, according to this myth, the imperfections in a pearl’s appearance were caused by thunder and lightning. And among all those legends we can’t fail to mention Cleopatra. The extravagant queen made a bet with her handsome Marc Antony that she could spend a small fortune on a single meal. She took one earring off, and dropped the Natural Pearl in the glass of vinegar. And when the Pearl was dissolved, amid general amazement, she swallowed it down. The legend has it that it was the largest Pearl in the whole of history worth 10 million sesterces. A factor that caused a Natural Pearl market reduction is certainly associated with the renovation of the button industry. Until the beginning of the twentieth century, buttons were made of mother-of-pearl (rarely of gold or silver). When plastic buttons largely replaced those made of pearl shell, shell-fishing activities decreased dramatically. Another factor that greatly reduced the market is attributed to the discovery of oil in the Persian Gulf. After this historic discovery, which in a short time upset the world economic equilibrium, oil industry became number one industry in the countries bordering the Persian Gulf replacing the fishery. 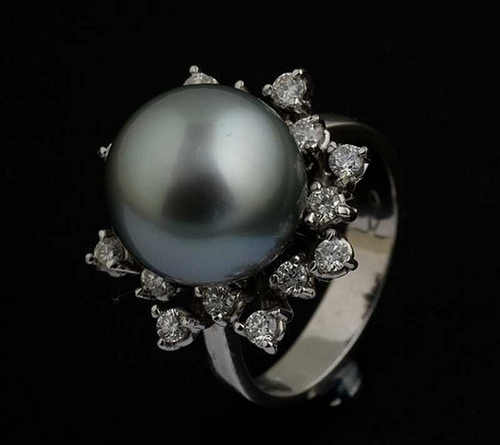 A dramatic pollution affected creation of Natural Pearls, so Natural Pearl is very rare now. 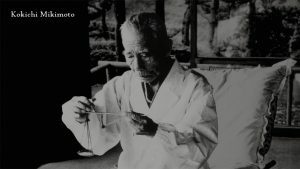 Well, if you decide to start culturing Pearls, remember that first of all you need to arm yourself with courage, act like legendary Kokichi Mikimoto, the pioneer of Pearl culturing. So, if you really want to throw yourself into this new adventure, make sure that the place you have chosen to establish your farm has clean water to provide the right nourishment for the molluscs. 2) Gives a possibility to build structures. 3) Breed them in tanks in a laboratory, and grow them in the protected areas until they grow large enough to be nucleated. You should give them your love and always monitor the health of the molluscs during growth periods. Also, you must always keep them clean from sea dirt. The collection could be a failure and put an end to the breeding, or it may be the most beautiful and exciting moment in the whole process. When the time comes to buy a Pearl, the choice can be so vast that you could be confused. There are many varieties of pearls. 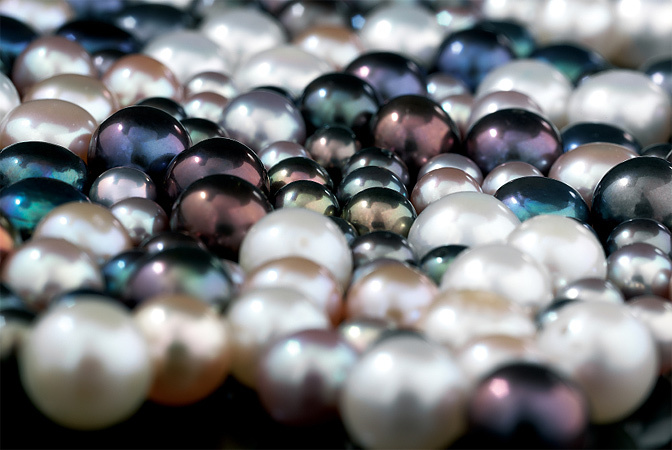 The most famous are Akoya Pearls, South Sea Pearls, Tahitian Pearls, Chinese Pearls. Above all, natural Pearls are more expensive. 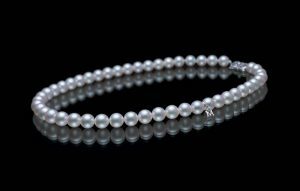 Natural Pearl is often seen together with Diamonds in the pieces of jewelry of Edwardian style, also called the Garland style.